After rainouts on September 25th & 26th, the Croatian cup finals were held in Karlovac on October 2nd & 3rd. In first semifinal game Kaptol Zagreb beat Donat Zadar 12-0 and showed that the win against Croatian champion Nada SSM Split wasn’t coincidence. Kaptol made five runs in first inning and after that just calmly finish game by mercy rule. In the second game the two old rivals Olimpija Karlovac and Vindija Varazdin played. Vindija took an early lead 1-0 in the first inning, and kept it till fifth inning when Olimpija woke up to score three runs, taking a 3-1 lead. In the eighth inning Vindija managed to score one more time but Karlovac “exploded” by making 9 runs, finishing the game by mercy rule and a score of 12-2. On Sunday Kaptol Zagreb tried to make one more step to the Croatian cup title, but Karlovac was too strong this weekend. 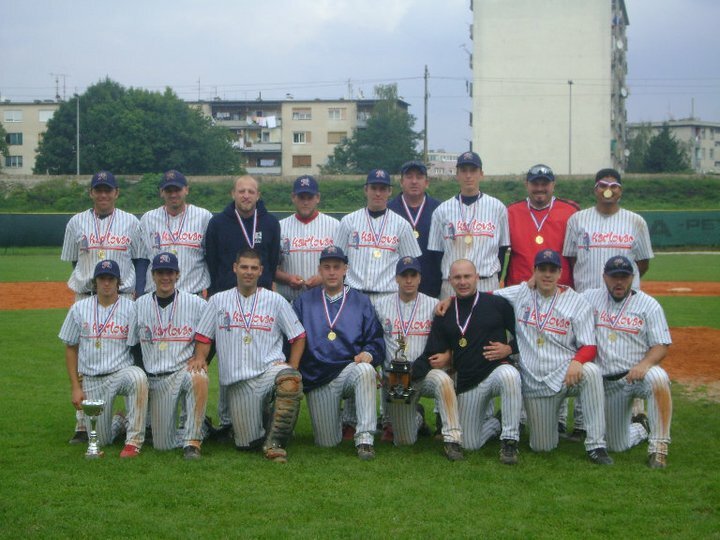 Kaptol managed to make one run off Karlovac pitcher Mario Zdelar, on the other side Karlovac scored six runs to win their 11th Croatian cup title.